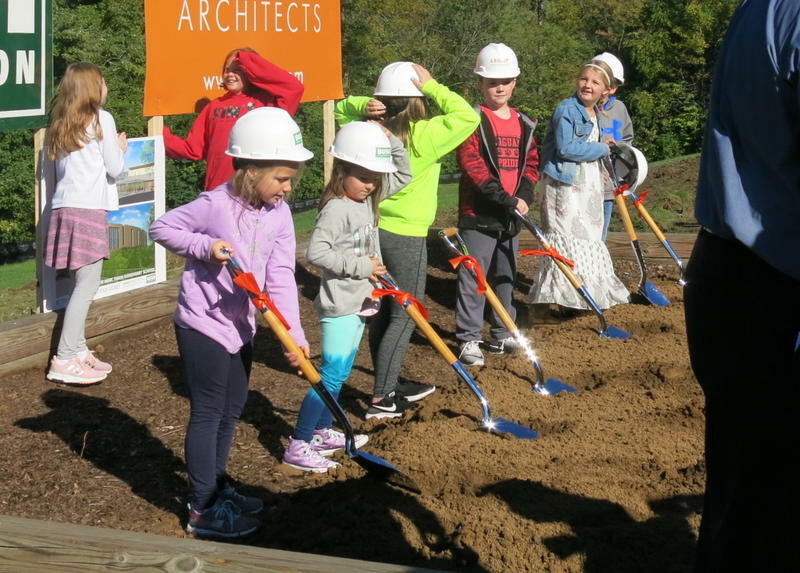 Students at Bettendorf's Mark Twain Elementary School break ground on a new building. 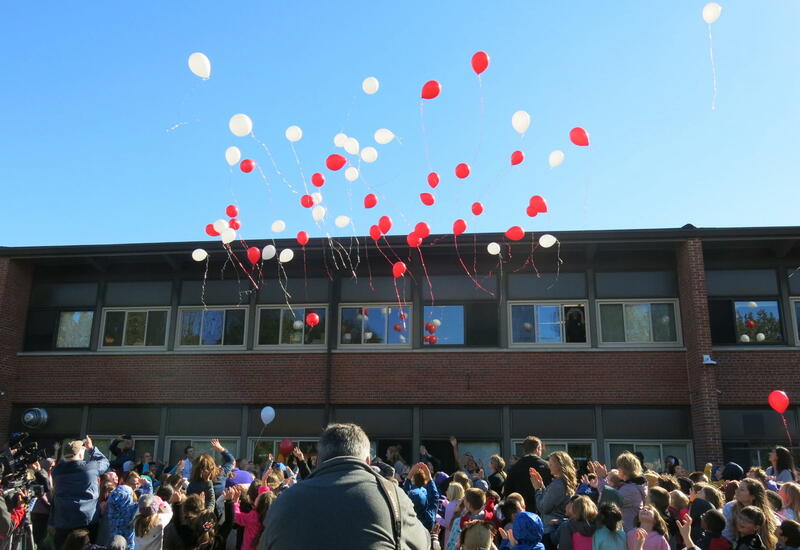 Hundreds of excited kids released balloons for the groundbreaking of the new Mark Twain Elementary School in Bettendorf. This morning, students, faculty, contractors, and even "Tinker" the therapy dog celebrated the official start of construction. The new school will include flexible classrooms, "learning stairs" for larger groups, a media center, gymnasium, and more. Bettendorf Superintendent Mike Raso says the building will incorporate the latest concepts in education. The new Mark Twain Elementary should be completed by November, 2019. It will have room for more than 450 students and cost about $16 million. The district is using sales tax revenue to pay for it. The existing school next door will be demolished to make room for more parking and green space. 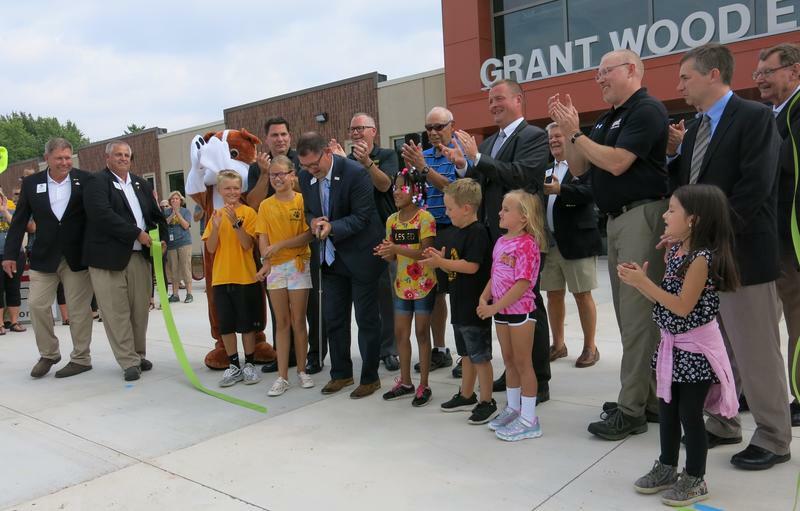 One year after construction began, the new Grant Wood Elementary School is ready to open in Bettendorf. Tuesday afternoon, students, parents, teachers, and district officials celebrated with a ribbon cutting. After one more year, an elementary school in Bettendorf will close. The school board voted Monday to close Thomas Jefferson, and send its students to Mark Twain Elementary School next year.